Ness Creek Cultural and Recreation Society, Dragon’s Den, Unreal City, 8th Street Books and Comics, Amazing Stories, O’Sheas Irish Pub, Scarlett at the Saskatoon Sheraton, Nutana Cafe, The Yard and Flagon, Manos, Museo, Collective Coffee, Shakespeare on the Saskatchewan, and The Broadway Theatre. 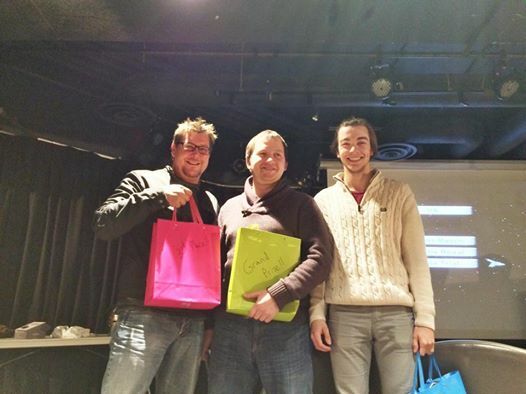 Congratulations to Clay (3rd place), Rowan (2nd place) and Michael (Grand Prize) on your amazing games yesterday! Hope you’re all enjoying those prize packs today! 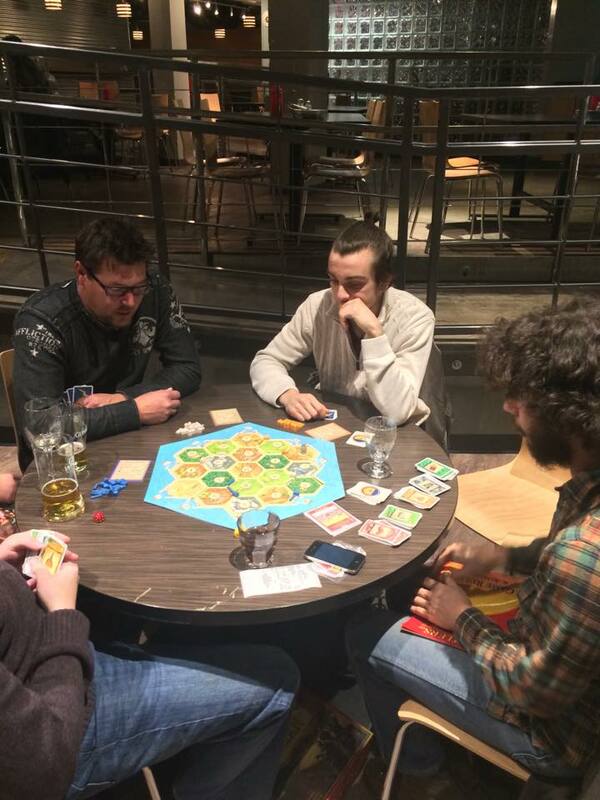 Thanks so much to everyone who came out to support us – and to see who would rule Catan! Our Famous Love Stories Costume Party Fundraiser will kick off in just over 3 hours! It will be a wonderful night of dancing with a photobooth, mad lib love poetry and more! 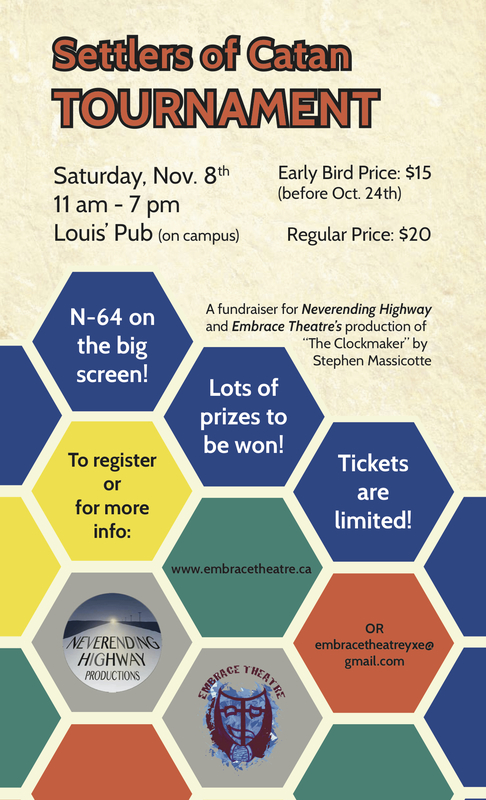 Prizes have also been donated by The Broadway Theatre, Mawson Health and Fitness, State and Main, O’Sheas Irish Pub, The Yard and Flagon, and Museo Coffee. It will be an amazing evening! See you all at Louis at 8pm tonight! This event will be a tonne of fun! 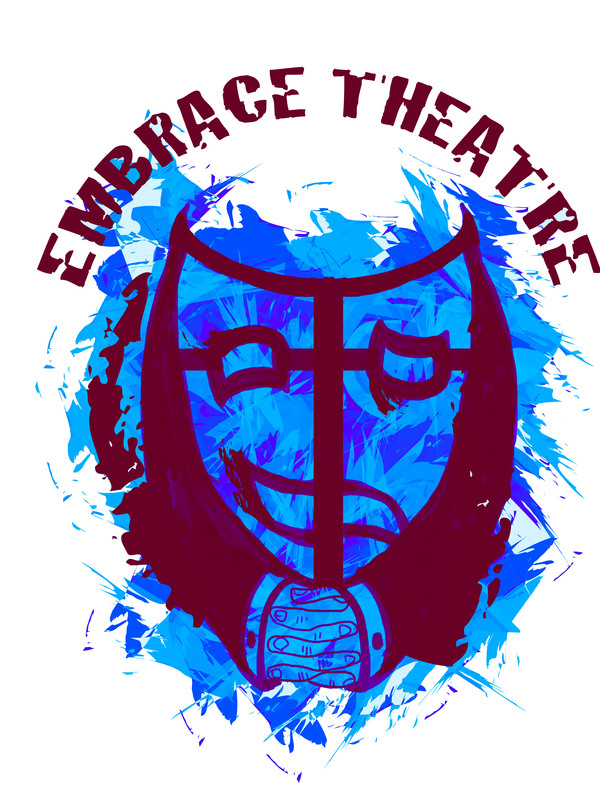 We’re raising money for our production of Stop Kiss and we’re going to have a blast doing it! Dress as your favourite love story (real or fictional), and come dance all night long! We’ll have a costume contest with prizes for the best individual and couples’ costume, mad lib love poetry, a photobooth, dancing, and more! For the Facebook event click here!